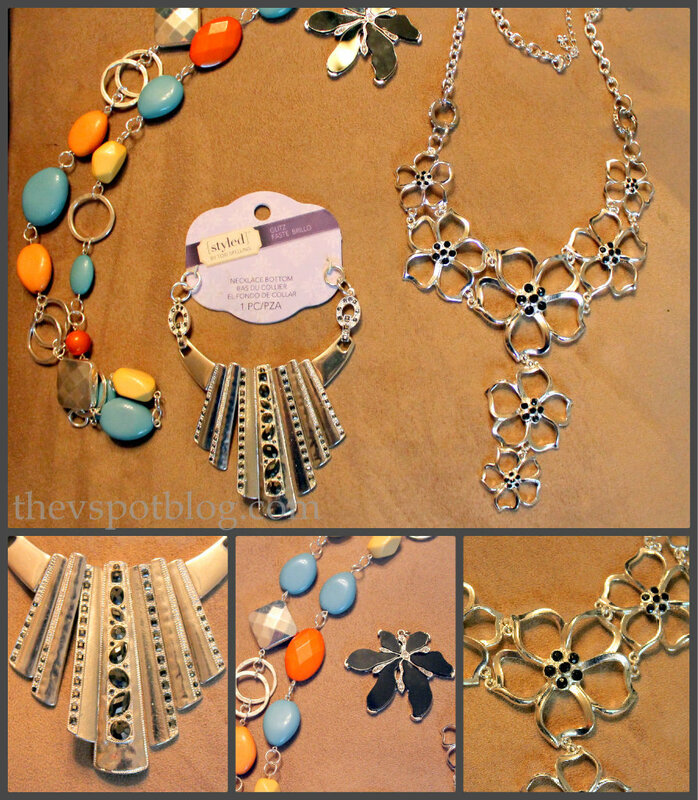 So when I was offered the chance to check out a new line of costume jewelry called Styled by Tori Spelling, I said Sign! Me! Up! 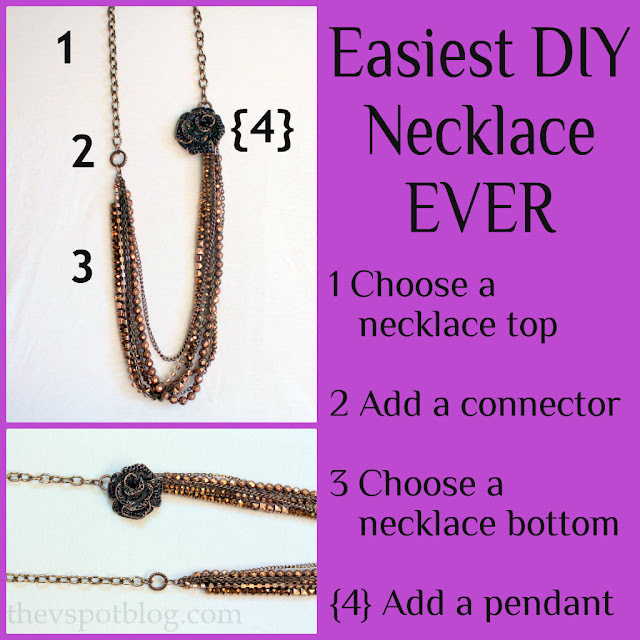 I put this necklace together in about a minute, and without tools. 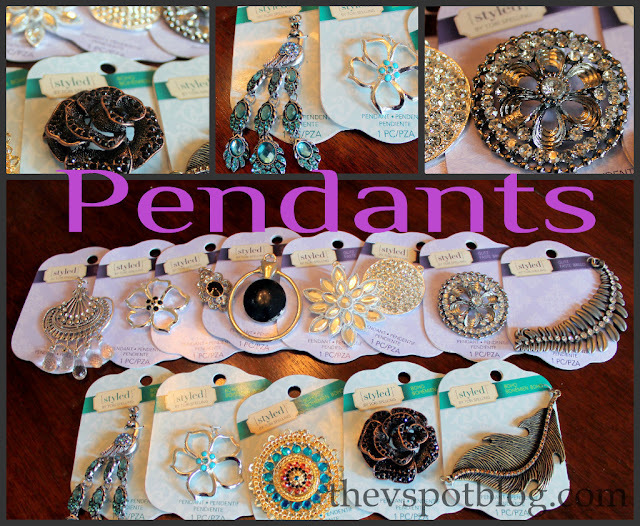 I was sent this amazing assortment of jewelry pieces to play with. Yep, all of this goodness was delivered right to my door for me to play with and share. I am not a jewelry maker. Some girls have it… (I don’t.) The thing that is so cool about this is that you can mix and match and create new pieces with this interchangeable system. No tools necessary! My mom and my niece came over to play with me. Please ignore the Game Of Life… they came to play with Grant too. 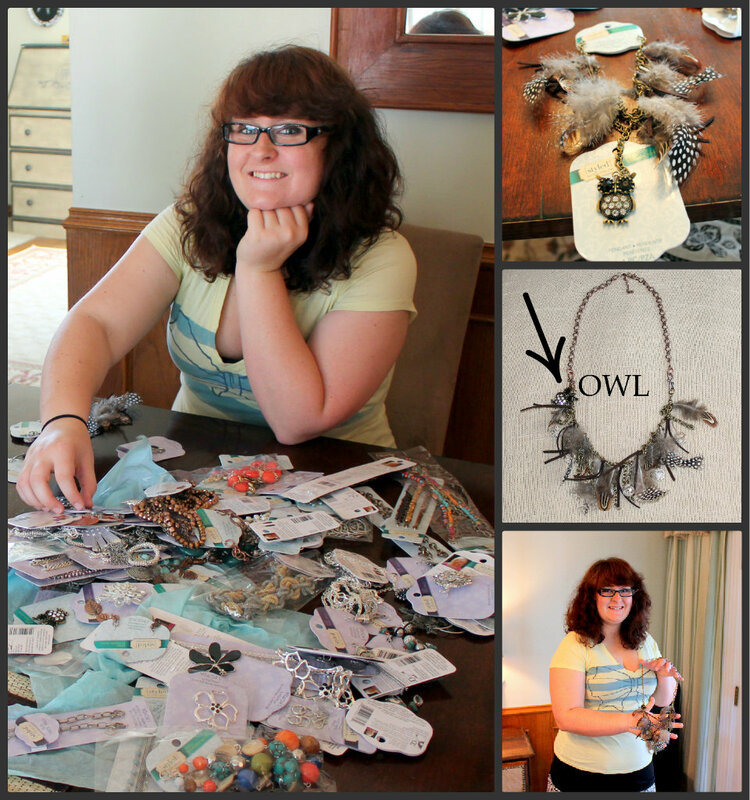 My sweet niece, Raelene, went for the Boho collection and put together a cute necklace with feathers and an owl pendant. My mom loves silver and turquoise colors. 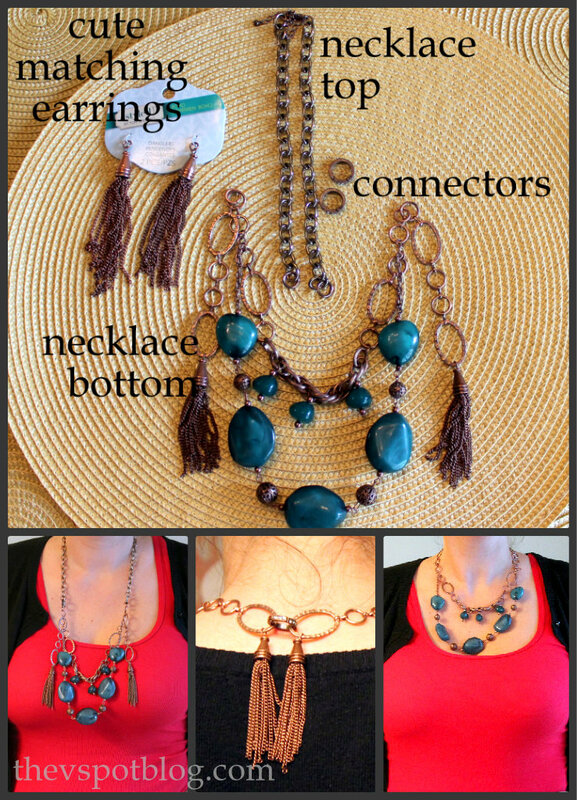 She combined the Boho and the Glitz collections and created pieces that were totally her. She wouldn’t take a picture modeling them because they didn’t match the outfit she had on at the moment. silly. I loved all of the choices. Take a necklace bottom and add a pendant. You just need one necklace top and a few connectors and you’re in business! Oh… and let’s not forget about earrings, bracelets and all the goodies to put them together! I am, shall we say… blessed when it came to “the girls”. 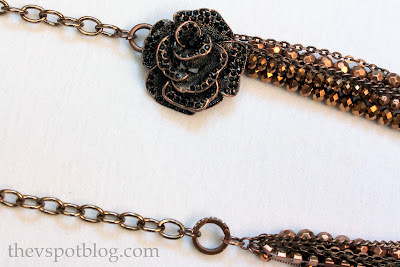 I loved this piece, but when I added it to the necklace top…. So how cool is it that you can add pieces together to make different looks, but that you can also change the look of a single piece with a connector?! I am wearing this necklace Friday night! I have bronze shoes I have been dying to wear and this will be perfect! 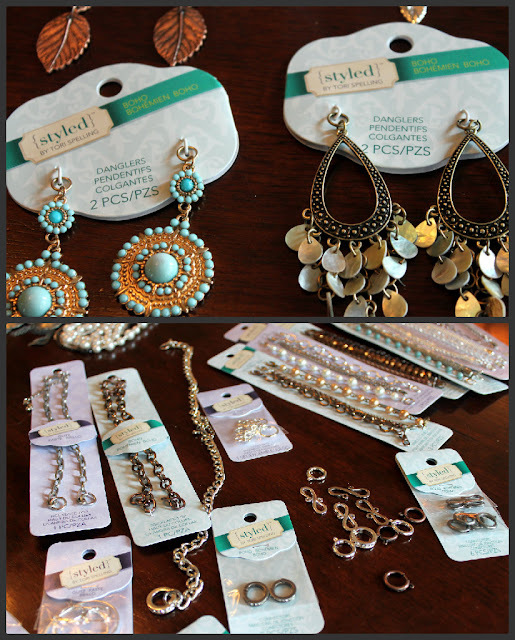 Styled By Tori Spelling jewelry is available at Michaels and Jo-Ann Fabrics. 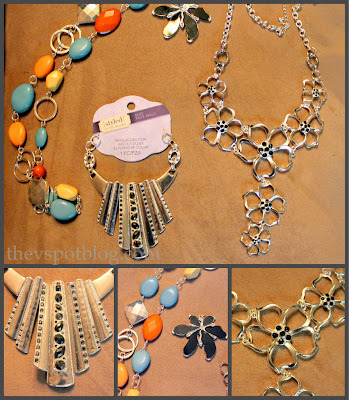 Pieces may vary by store, but you’ll be sure to find some cool pieces to play around with. Be sure to check out the Facebook page for Styled by Tori Spelling and follow on Twitter too! I’m going to Michael’s today. I was ONLY going to buy yellow spray paint for a project that I can’t get out of my head. That is all just too cute! And you rock the Mom Bun like no one I’ve ever seen! Cute stuff…I look forward to checking it out. #4 Did you make me anything? ha! You did fabulous and what an awesome collection to get to test and try! LOVE IT ALL!!!!!!!!!!!! Wow! You (and Tori) have been busy! Tell her thanks for unmaking all that jewelry for me. oh you lucky girl! I love Tori! Wow! This looks so fun! I can see so many possibilites. Thanks for sharing! Omg, Mimi’s comment had me cracking up! 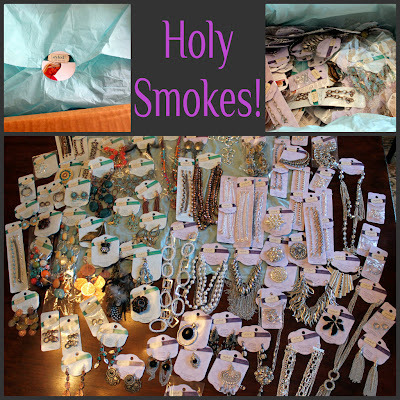 Can’t believe the amount of pieces you received, what fun!! I really like how your piece came and I see what you mean about the tassles, you are too funny! Your niece really made that mix-and-match thing work – would never have thought to put an owl on a feather necklace – but now that I see it – obvvy! Looks like a fun time was had by all. The tassel thing cracked me up. Nooo, one doesn’t want to look accessorized for a stripper pole! This makes me want more Tori. These are awesome – I am totally not a crafter, but I can see how easy it would be to make necklaces with kits like this! How awesome and fun is that! I am not much a jewelry designer but I think I could even figure this out. And you got a load of stuff! I love all of the different looks everyone is coming up with using their goodies. Isn’t it fun!! Very cool. But wouldn’t pieces fall off of those “S” hooks??? I’m really into the bronze myself! And the Boho. And all of it, really. It’s so pretty! Wow! These pieces by Tori are beautiful! I’m not usually big into jewelry or jewelry making…but these make me excited about trying it! Thanks so much for highlighting this collection! 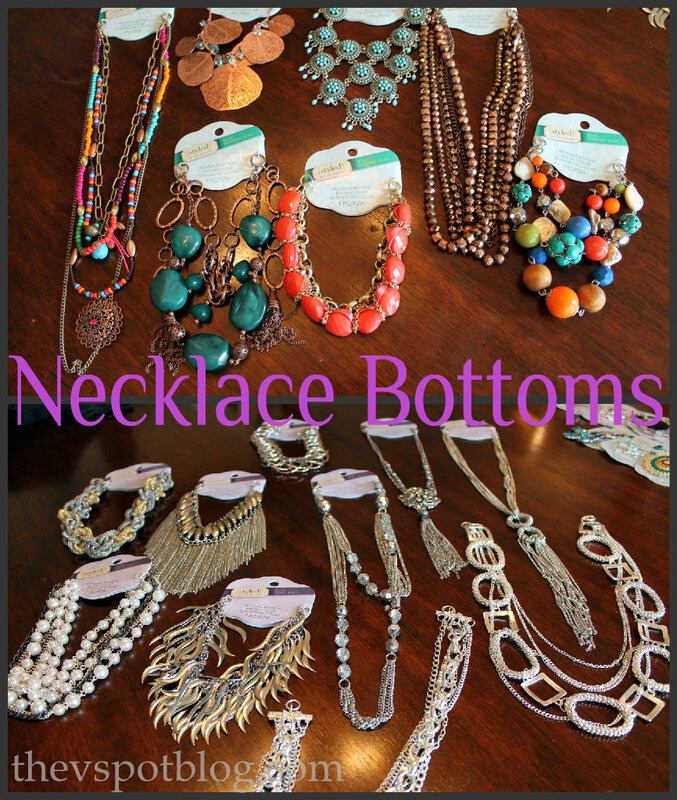 This jewelry line looks like so much fun!